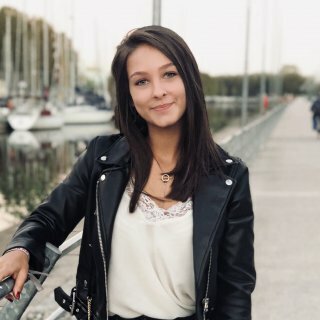 My name is Lisa, I’m a second year undergraduate student in Trade & Marketing at the university of Caen in Normandy. As part of my degree, I’m looking for an internship from the 8th of April to the 8th of June. I am an enthusiastic and rigorous individual as well as a reliable team worker. With strong planning, organisational and execution skills, I am always ready to take on new challenges! During my second year of university, I co-founded, with other marketing enthusiasts, a Marketing & Communication agency called “Com’TC” . We now offer our services to universities and companies locally. I am in charge of the business development and social media channels management. I have been offered the position of Hostess at one of the most well- known event venues in Normandy, France. My role is to welcome the VIP guests, assist them throughout the event and make sure to provide them with the best customer service possible. My primary job role was to support the administrative team by providing them with analytics and supporting them with operational tasks. I was also responsible for taking customer service calls and driving customer satisfaction. I did my first internship in the marketing & trade department of a regional museum. I was responsible for communicating the 30th anniversary of the museum and conducting survey. I assisted the managers with a variety of operational tasks. I worked for a luxury tea retailer as Sales and Marketing Assistant Manager. My primary job role included advising & educating the customers about different types of products in store to drive sales. I also created promotional communication campaigns, boosted the brand and increased sales.